I had plans of getting out for a big shopping trip this week, my guess is I will finally get there tonight or tomorrow morning. I did run out for two quick trips though. As I “walked” Publix this week for extra deals I grabbed kraft cheese that was on sale buy one get one. There are no Kraft coupons, so it was just an easy 50% saved. Not anything super exciting, but I’m always up for stocking up on the basics we need when they are at their best price. My other trip was to CVS. I shared the deal we got earlier today in a post, but I’ll put it here again. There is a very fun, and very free deal on nail polish through tomorrow at all CVS stores. As a mama of 5 girls I would be insane to not grab this one… I had three of my girls with me so I let each of them pick one color. I don’t know how often I’ll use mint green, but I know one little girl who is very excited about it. 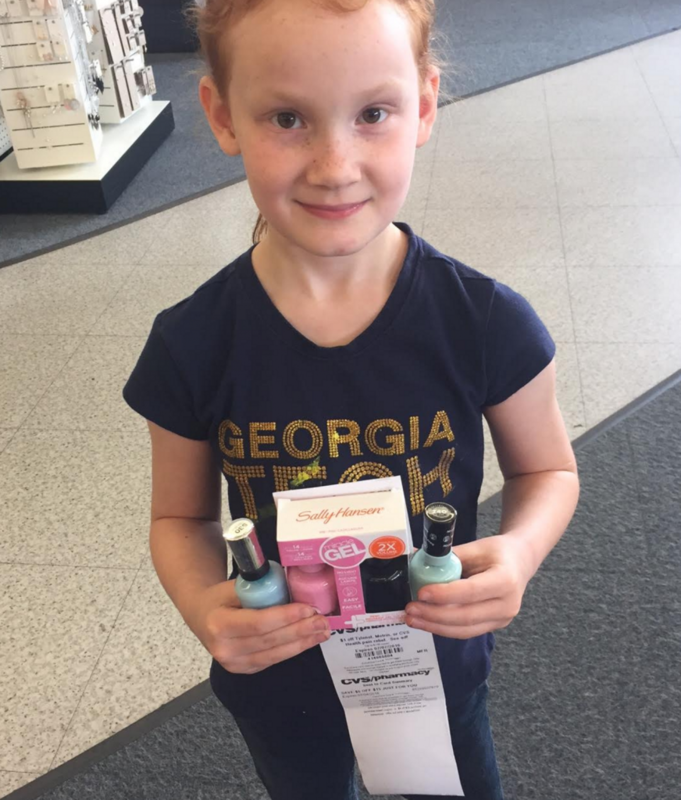 After all the rebates we made $10 to buy nail polish. That pretty much was what we spent on cheese, so you could say we broke even for the week.